Here’s the difference & why each may be a good alternative to a court trial. Arbitration is an out-of-court, private hearing before one or a panel of arbitrators to determine the outcome of a civil dispute between two or more parties. Usually, there is a lawsuit first filed in a civil court of the state (but there is no requirement that a suit must first be filed). Then, somewhere along in the lawsuit process, the parties by their attorneys, agree upon having the case decided by a private arbitration company or association. The most common in New York State is the American Arbitration Association. The attorneys mutually agree on the arbitrator or panel from a list which states the credentials of the arbitrator in the relative area in which the suit is involved, such as a construction dispute. The arbitrator may be an attorney or a non-attorney with expertise in that field. Once the attorneys agree on the arbitrator(s), a hearing is set, and the arbitrator acts as a judge in the proceedings, laying down the ground rules, hearing testimony, reviewing evidence and then making a determination. The arbitration is binding and usually not subject to appeal. Why would parties choose to go this route rather than be heard in state or federal court? Time is generally a big factor. You can get scheduled to be heard quicker. Courts are notoriously slow at dispensing with justice. One can wait years to be heard. Also, you are being heard and judged by an arbitrator who has particular knowledge and background into your area of dispute, which may enable a more just and fair decision. 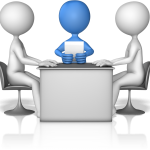 Rules of evidence (like hearsay) can be more relaxed in an arbitration setting, depending on the rules set forth before the hearing, and therefore it may seem to be more advantageous to either or both sides to the dispute. Meditation too is voluntary by the participants, but it is not binding. The parties present their dispute to a mediator, usually an experienced lawyer or retired judge who, again, might have particular knowledge in the area of the dispute. Usually, a short hearing of some important factual details is heard and then the parties negotiate a settlement under the mediator’s strong supervision. I would say that mediations are a better choice if the parties agree that one of them are aggrieved, but they cannot agree upon the amount of damages. A mediator has special expertise in bringing about a settlement. If a settlement is reached at the mediation, a written settlement agreement is drafted right then and there and signed by the parties. That document is now binding and enforceable in a court of law. If the parties don’t agree, they are free to go and pursue other remedies, which is not true in arbitration. If you have a dispute in which these remedies sound appealing, call Misiano Law today at 631-369-0255. We can help!